The Oregon Supreme Court has refused to hear a challenge to the ballot title for a proposed 2014 referendum asking voters to legalize gay marriage in Oregon. The attorney general's office in April announced its final wording on a ballot title, rejecting a proposal by the Oregon Family Council, a Christian conservative group opposed to marriage equality, stating that the wording of the title should reflect that the measure would require all state agencies to issue marriage licenses. The group appealed to the Oregon Supreme Court. “That's a standard technique used by opponents to slow down signature gathering,” Jeff Maples of The Oregonian wrote. 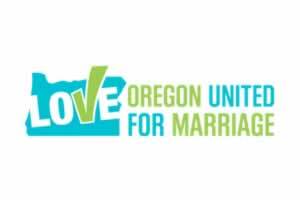 With that legal hurdle cleared, Oregon United for Marriage, the coalition of groups working to put the measure on next year's ballot, can begin gathering the 116,284 valid signatures needed to qualify. Oregon is the only state so far committed to a 2014 referendum on the issue. Other states where activists are considering similar questions include Ohio, Arizona, Michigan, California and Florida.